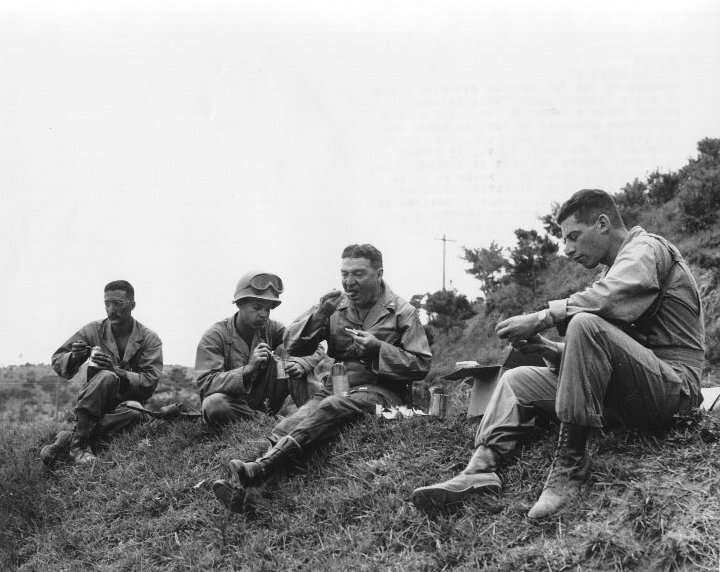 Korean War SC Coll Box 1 RG6S-KWP.9 Members of the 1st Cav Div eating C rations. 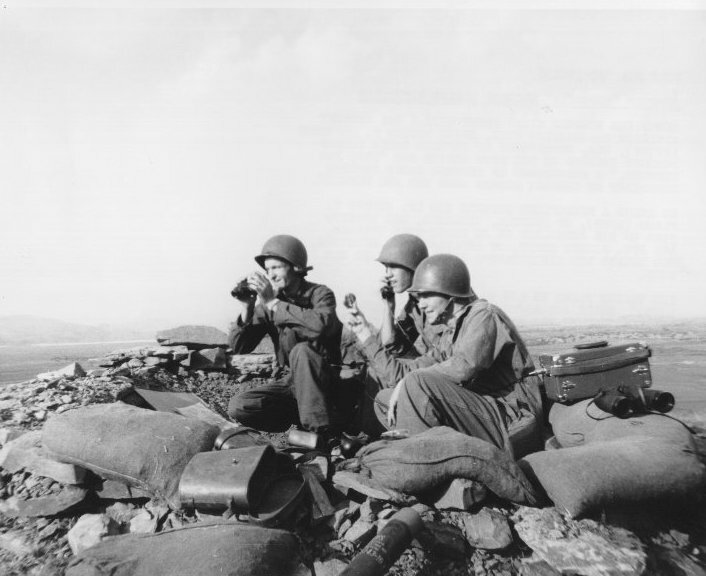 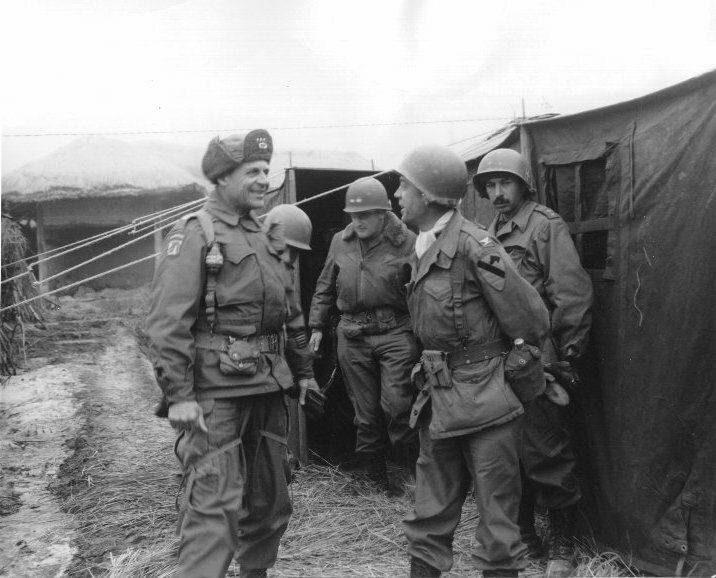 They are: PFC Felix Gonzales of NY-13th Signal Corps; CPL Joseph P. Demt of Jacksonville, Fla., HQ Co; BRIG GEN Frank A. Allen of Cleveland, Ohio, Asst Com Gen; and 1st LT Alfred J. Millard of Wash DC. 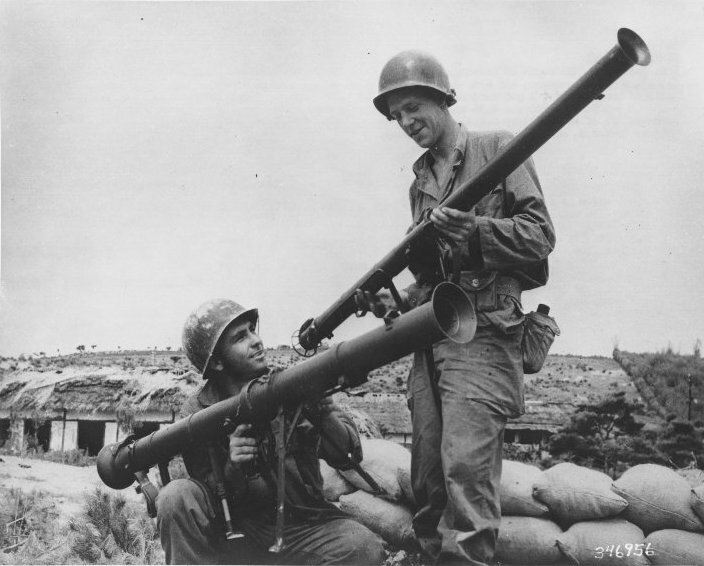 Korean War SC Coll Box 1 RG6S-KWP.13 PFC William H. Gillespie of Lavonia, Ga, (left), a 3.5 bazookaman and SGT John Havis of Munire, Ind, a gun commander of 155mm howitzer, holding a 2.36 bazooka, both members of an artillery battalion, 1st Cavalry Division. 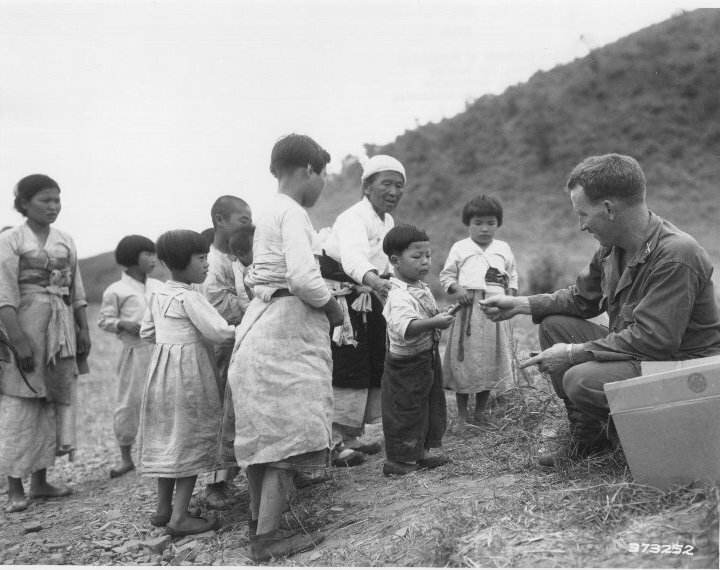 Korean War SC Coll Box 1 RG6S-KWP.27 1st LT William Millward of Baltimore, Md, Civil Assistance Officer, 5th Cavalry Regiment, 1st Cavalry Division, distributes candy to Korean children at a refugee Collecting Point in Western Korea. 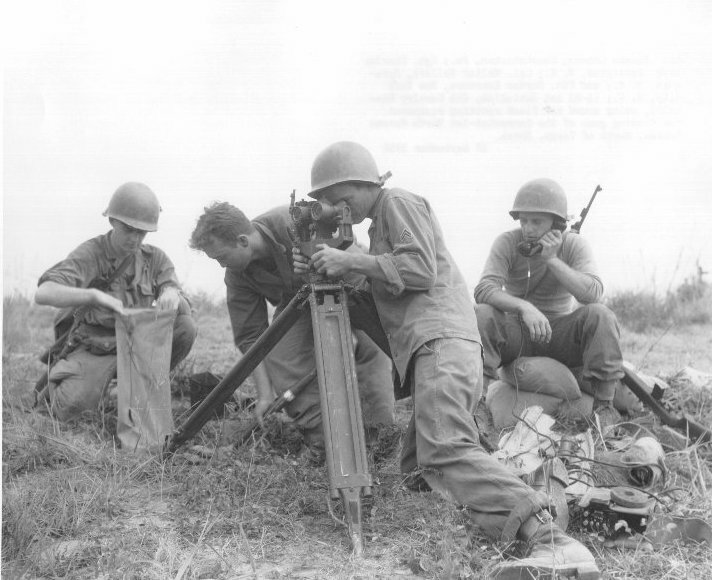 Korean War SC Coll Box 1 RG6S-KWP.34 CPL Thomas Camano, Conshohocken, Pa; SGT Charles Link, Lexington, NC; CPL Walter Sellers, Syracuse, NY; and PFC Norman Lawrence, NYC; (L-R) 1st Bn, 8th Cav Div, using sound and flash spotting equipment for finding Communist guns, north of Taegu, Korea. 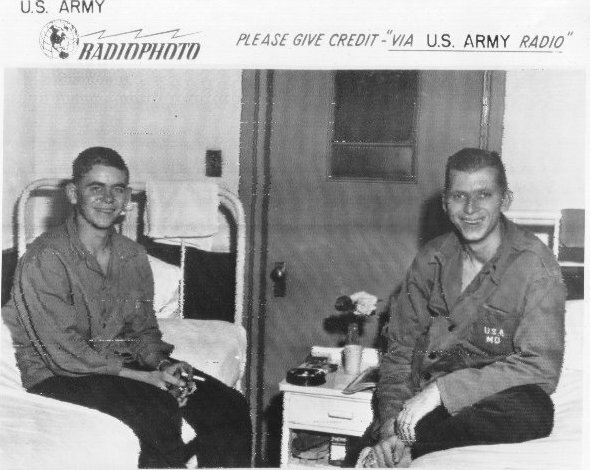 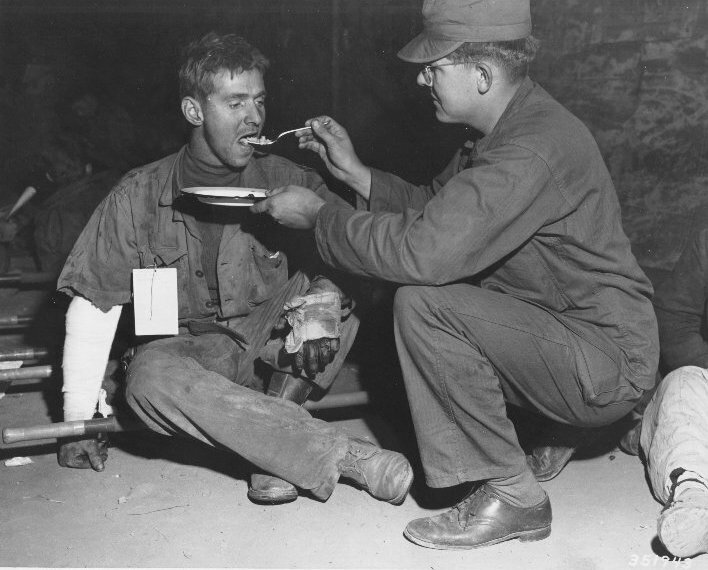 Korean War SC Coll Box 1 RG6S-KWP.37 CPL Thomas A. Edwards of NYC (L), Co A, 8th Cav Regt, 1st Cav Div, is fed by PFC Cornelius Bosma of Ontario, Calif, a member of the 8063rd Mobile Army Surgical Hospital, attached to I Corps, at the mobile hospital in Korea. 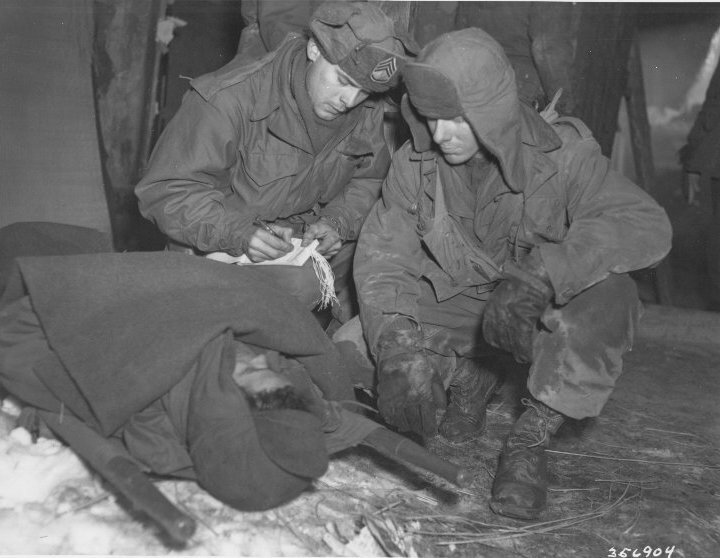 Korean War SC Coll Box 1 RG6S-KWP.38 Medical Co, 8th Cav Regt, 1st Cav Div-SGT E. O'Brien fills out tag to attached to a litter, while Charles Sutton comforts a wounded man who will be sent from this medical aid station near Yangzi, Korea, to a collection station further to the rear.